I have recently returned from visiting my family in the San Francisco Bay Area. 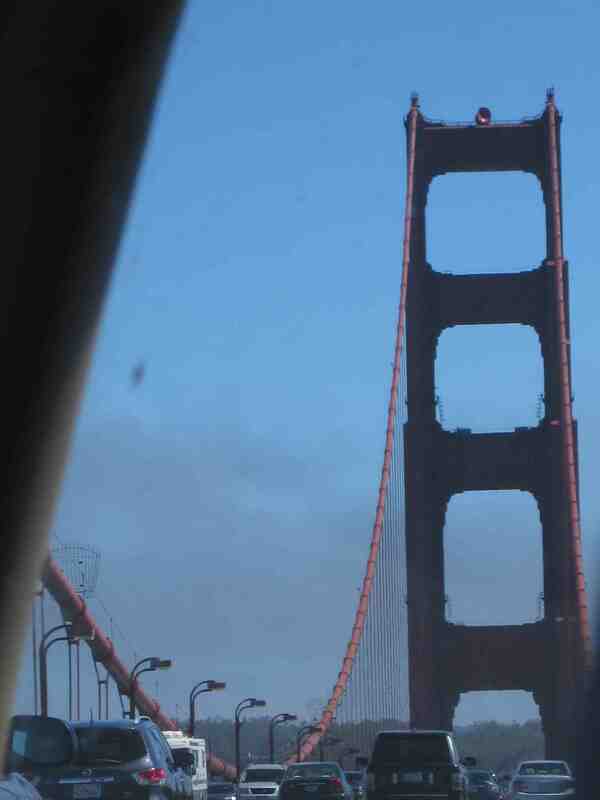 The Golden Gate Bridge photographed by The Back Seat Photographer. Excluding the nine hours of my life I burned getting there and the twelve it took to return to New York, were it not for the hassle of traveling, it was a welcome getaway. Whatever anxiety I suffered on the plane immediately dissipated when I was reacquainted with one of my favorite relatives, Thurber, the family dog. The Back Seat Photographer’s assistant. Because I only see Thurber twice a year, it heartens me that he remembers me. My sister, Dovima, thinks this is due to his natural canine instinct i.e., he knows that I am a dog-lover, a friend who’ll play with him and someone he can reliably count on to scratch that itch behind his ears. Splashing myself liberally with steak sauce might also encourage these feelings of mutual affection. 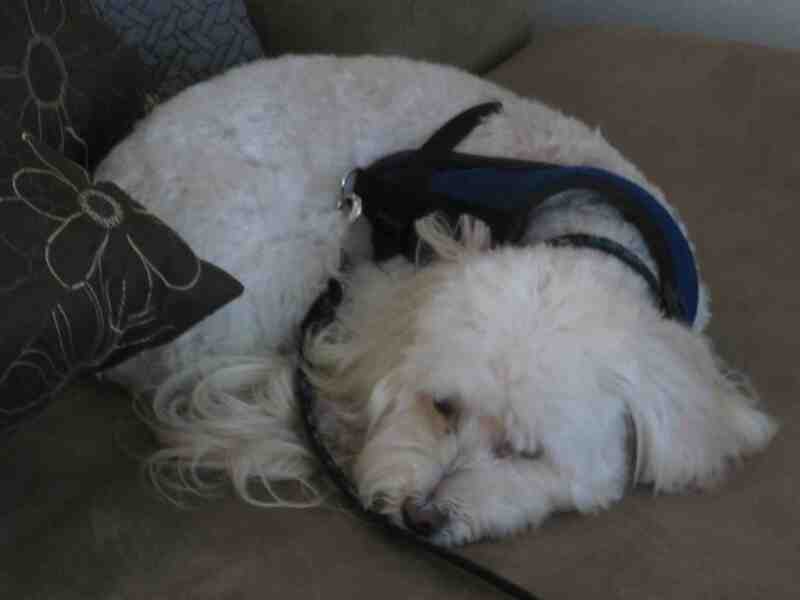 Thurber catching a few pre-walk z’s. Me: Your dog’s so relaxed. Is she sedated? In response her owner was silent. She smiled shyly at me. I felt like a jerk. 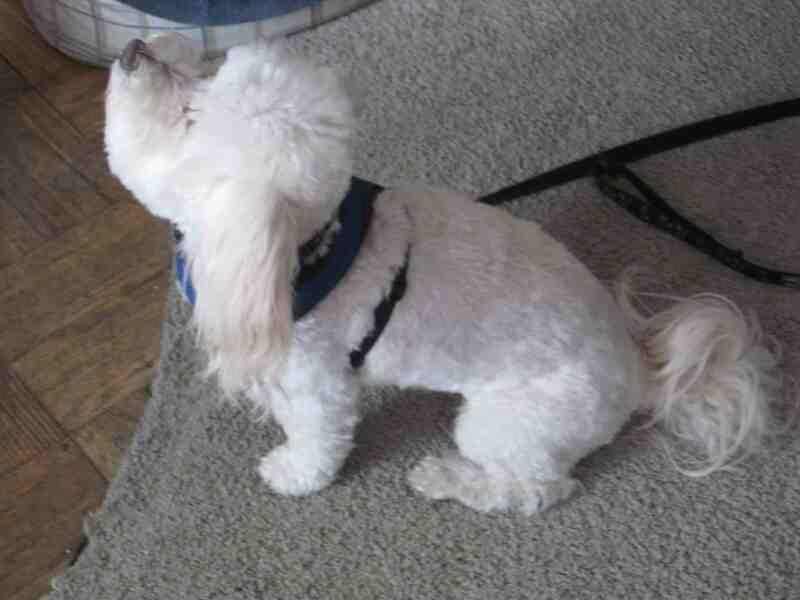 When it came time to board, Ginger obediently entered her pet carrier. Once inside the aircraft, I was stuck in the middle seat between two women. The rotund woman radiating heat sitting on the aisle seat next to me noticed that it was not a full flight. The row ahead of us was empty. She asked a flight attendant for permission to move. It was granted. I was so elated with her taking charge, I considered proposing, but I decided it might be best that I take a vow of silence across the country. I wish I could say the same for the three-year-old of indeterminate gender sitting two rows ahead of me. This moppet shouted in an outdoor voice for the entirety of the flight — with fatherly encouragement. How I would have loved to wield a burlap bag full of mashed stone at him. 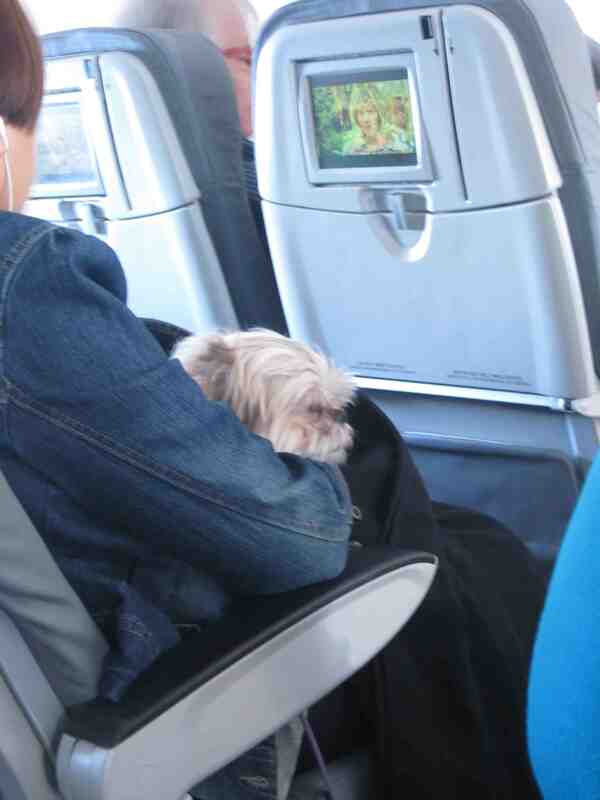 From the vantage point of my aisle seat, I saw that Ginger’s owner was sitting across from me but one row ahead. When we were airborne, I noticed that Ginger was once again out of her carrier. Her owner was cuddling her. The air conditioning was at Arctic-level so the cabin felt like a flying freezer. Snuggling a warm beast in a frozen tube at 35,000 feet must have felt comforting. I would have loved to stuff Ginger’s forepaws in my ears to silence that squealing kid. A flight attendant with a figure reminiscent of a prison matron cross-bred with a brick wall motored down the aisle. Her peripheral vision saw something suspect. 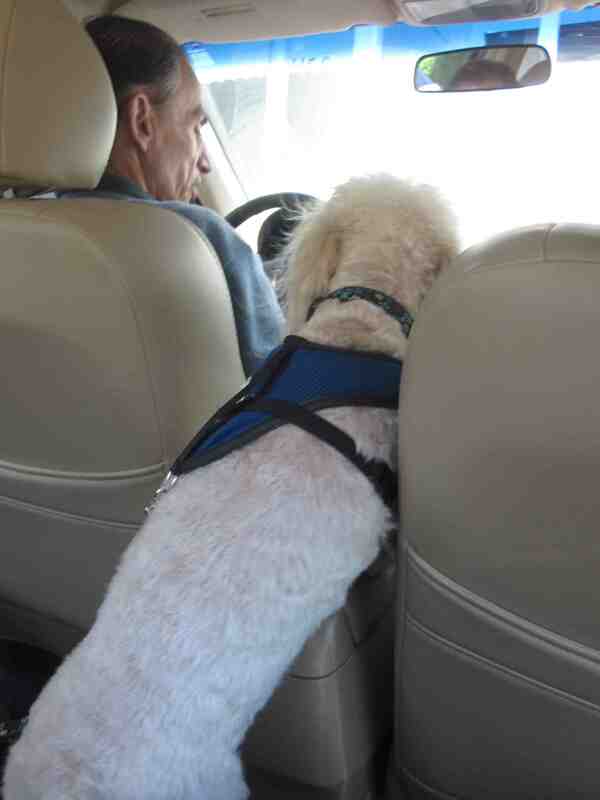 She instantly slammed her brakes, backed up, hovered over Ginger’s owner and read her the riot act. JetBlue’s JetPaws rules and regulations insist that pets must remain in their carriers at all times. This includes during the flight as well as at the gate. This second rule I have seen violated on numerous occasions without incident. But seeing someone cuddling a pet on a plane was new to me. Me (piping): Hey! What about telling Dad to make his brat shut the hell up? Apparently JetBlue’s rules for demanding silence from a three-year-old shouting six hours straight in confined quarters requires that the kid simultaneously bust out a window, ignite a fire and demand more Terra Blue chips. Therefore, Turbulence In Orthopedic Shoes was steering clear of that infinitely more combustible situation. For the remainder of the flight, every so often Ginger’s owner would pick up the pet carrier and embrace it. Sometimes she’d zip it open and slip her hand inside to pet her furry friend. All the while, that kid loudly bleated and Dad gushed praise at his progeny. Outside of three soft yaps emitted upon landing, Ginger was silent as the dead. I swallowed a fistful of Excedrin and wished that JetBlue had a toddler-sized carrier that could be stuffed under the seat.